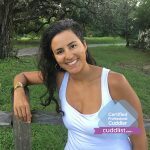 In the first episode of the Facebook Live show Cuddlist Talk we feature Professional Cuddlist Janet Trevino. Janet explains the 3 ways in which we can improve ourselves and the relationships we have with others through the service of Professional Cuddling. Cuddlist provides a container for safe meditation. Often we are told to go off and meditate or simply to do our own thing. However, as Janet explains, “We were not created to be alone. We were created to be with each other. We were created to have this interaction that’s so human and amazing. When Janet begins her sessions she asks, “How would you like to receive touch? How would you like to begin your session?” In the beginning they would say “ I don’t know what I want.” That’s when Janet provides resources that informs and lets them figure out what is right for them. Then during their sessions, Janet and her clients will experiment through communication and learn about what’s comfortable for each other and how to execute those actions without violating anyone’s consent or comfort level. All of this allows you to be open, intimate and vulnerable. This is the hard part. Don’t let go until they let go. Try to notice how long this takes and how you feel when you are doing it. Remember this exercise is all about communication, intimacy and vulnerability.